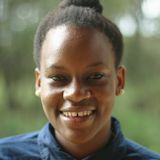 Mumbi is working as Stakeholder Coordinator at Emerging. She is a sustainable development professional focused on Sub-Saharan Africa. Prior to joining Emerging Ag, Mumbi managed the communication, marketing and fundraising function of GIVEWATTS, a Kenya-based Swedish NGO that provides clean energy solutions to rural populations in Kenya and Tanzania. Mumbi has extensive experience working in East Africa’s NGO and SME business sector. She has worked with Novastar Ventures, an impact investment firm supporting entrepreneurs to profitably serve East Africa’s Bottom of the Pyramid markets. At Novastar, Mumbi was in charge of numerous functions ranging from stakeholder management to research, administration and high-level event planning. Mumbi sits on the Board of Palmhouse Dairies Limited, a dairy processing plant based in rural Kenya that processes 5000 litres of milk daily and directly supports and empowers 450 small scale farmers. A Kenyan national, Mumbi has lived, worked and studied in the United States, Malaysia, South Africa, Australia and Kenya. She holds a BA (Hons) in Economics and International Relations from Monash University in Melbourne, Australia. Mumbi is based in Nairobi, Kenya. UN Environment Assembly - Save the date! The fourth session of the United Nations Environment Assembly, the world's highest-level decision-making body on the environment, will take place in Nairobi from 11 to 15 March 2019 under the theme “Innovative solutions for environmental challenges and sustainable consumption and production”. In the run-up to the Assembly, UN Environment is leading a global campaign to Think Beyond Live Within. This campaign focuses on an informative and emotive approach to communicating the environmental cost of key consumption and production models. As part of the campaign, UN Environment encourages people to take the lead and #SolveDifferent for a sustainable future for our planet. 1. First, you will be prompted to create an indico account here. Once your account is created, you can use the login details to register for the conference. - A nomination letter from your accredited organization. The letter must be on your organizations’ letterhead and may list up to 5 representatives from your organization. - You will be asked to select the meetings you would like to attend. Please select all the meetings listed in the application form. - You will need to select a representation type. Please select Non-Governmental Organisation (NGO’s), followed by accredited NGO as the subtype. You may then select your organisation under the organisation name. Once you have completed your application, you will receive an email noting that your registration is pending approval. You should then receive the final confirmation shortly thereafter. 1) First, you will be prompted to create an indico account here. Once your account is created, you can use the login details to register for the conference. - A nomination letter from your organization. - You will need to select a representation type. Please select Non-Governmental Organisation (NGO’s), followed by non-accredited NGO as the subtype. You may then manually input the name of your organisation. At the end of March 2018, two members of the Emerging Team spent 10 days in Burkina Faso and Mali filming the work of Target Malaria. Target Malaria is a global research consortium working to save millions of lives from malaria by developing new, cost-effective, and sustainable genetic technologies to modify mosquitoes and reduce malaria transmission. In today's blog, ocean lover and commercial fisherwoman - Tiare Boyes - shares her experience at the World Oceans Summit. The Summit is being held from 7th to 9th March 2018 in Quintana Roo, Mexico. Last year, the third session of the United Nations Environment Assembly took place at the UN Environment Programme headquarters in Nairobi, Kenya from 4th to 6th December. This Assembly is the world’s highest decision-making body on the environment, with a dual role to govern the UN Environment Programme and discuss how to address important environmental issues at the bi-annual summit. From the 4th to 6th December 2017, The UN Environment Assembly, the world's highest-level decision-making body on the environment, held its 3rd session (UNEA-3) in Nairobi. The Assembly was held under the overarching theme of “Towards a Pollution Free Planet” and passed 11 resolutions, each addressing a specific dimension of pollution. For the first time, a Ministerial Declaration was approved by consensus – this declaration will serve as a global action plan on pollution. View the approved declaration here. The Global Business Alliance for the Environment (GBA4E) is excited to participate in the third session of the United Nations Environment Assembly (UNEA-3) which is taking place at UNEP headquarters in Nairobi, Kenya, from 4th to 6th December, under the overarching theme of “Towards a Pollution Free Planet”.